Yeah I know it’s hot and all you really want to do is go to the beach, but a truly dedicated fashionista must not let a little thing like summer distract you from what’s really important, shopping! By the time you read this blog most of the stuff should be hitting the stores so dust off those credit cards and go. The first brand to seek out should be MANAS, an Italian firm specializing in women’s shoes both high fashion and casual, plus a limited selection of handbags, as well as men’s footwear and accessories. The entire collection offers value for money (even the high-end shoes and boots are reasonably priced) but best of all, terrific styling that’s never over the top and true quality. Out of the whole collection I really, really want to own a pair of the gorgeous burgundy patent ankle boots with a sculpted heel, rounded toe and back zip detail! It’s to die for. I’d wear this forever all season long. For colder days another must have is the dark green leather high-heeled bootie with a turn back cuff lined in fur and accented with a toggle closure. A slouchy, suede flap over messenger bag also caught my eye for casual wear. 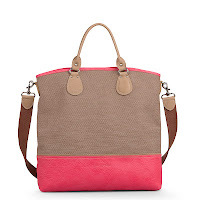 It’s lightweight and very roomy and the taupe color will go with just about everything I own. I could go on and on but you get the picture. Check Manas out at fine boutiques so be on the lookout. You won’t regret it. Manas - It's Never Too Late to Think Winter! Out of Paris comes LANCASTER’s line of stunning handbags and totes. Nothing’s over the top or terminally trendy, just great looking and beautifully made. 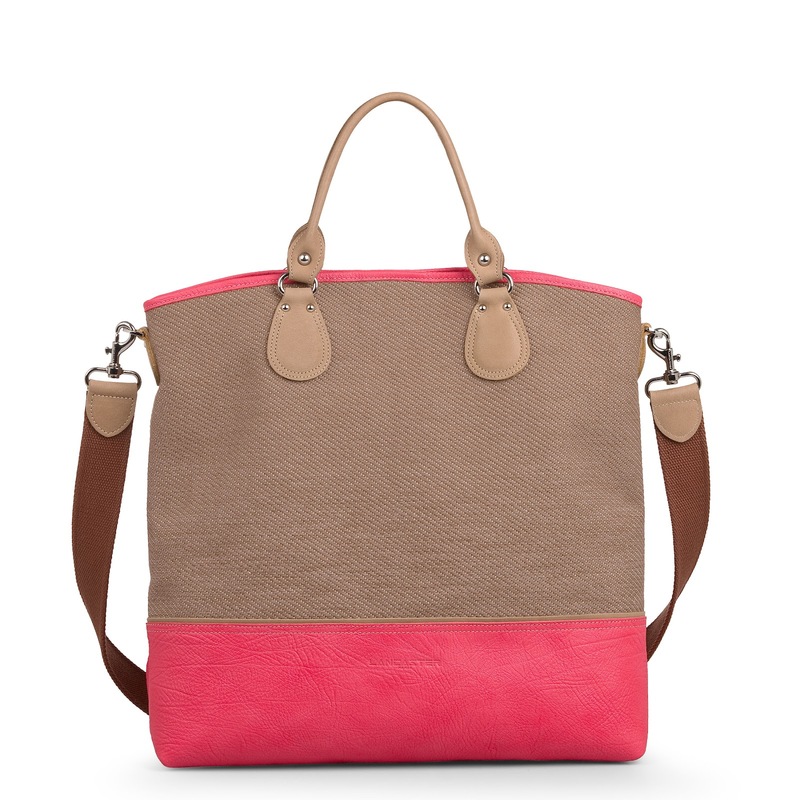 Now in store is a personal favorite, the “Cabas” cotton canvas tote in camel multi with red patent trim. The detachable shoulder strap is an added bonus. It also comes in two other color ways . My other pick comes from the “Eighties” range. It features the cutest leather structured flap over handbag in black, blue or stone with contrast bright color top handle and hard-ware. 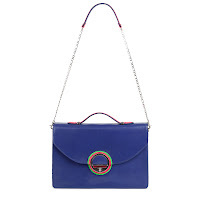 It too has a detachable shoulder strap. Smart, sophisticated with just enough pizzaz so find these bags and more at better boutiques. Everywhere. Germany brings us GEORGE, GINA & LUCY. This casual handbag collection left me with a smile on my face. The styling is casual, and aimed at the younger customer. Materials include patent, cotton, PVC and nylon polyester. My hot picks include the cotton and PVC colorful plaid zip top satchels from the “Miss Funny Penny” range and the taupe patent “RazzMatazz” satchel with hot orange accent. Cheap and cheerful is the way to go with this brand. Let’s not get picky about where this next brand is located. No not Europe, but Montreal Canada. Since HARRICANA is an all time fave of mine I just had to include their latest collection of handbags, gloves, hats etc all fashioned from recycled furs. On a recent holiday in Montreal I scoped out their retail store and got a peek at the new Fall collection. OK so maybe last winter was a bust as far as cold weather’s concerned, but the odds are that we’ll freeze next time so better be prepared with any of Harricana’s scrumptious fur and leather shoulder bags, fur lined vintage inspired aviator style tweed caps, fur trapper hats and fur lined boots. For a look at what’s new check out the goodies at www.harricana.qc.ca.